There are many widely held beliefs about canine health that contain a nugget of truth, but are not entirely factual. People who spread these misconceptions certainly mean no harm, but believing them could potentially affect the veterinary choices you make for your pup. Your time together is already too short. Don’t let a dog health myth keep you from providing the best possible care for your fur friend. 1. Dogs eat grass when they are sick. If you Google the question “Why do dogs eat grass?” you will get more than 2,520,000 hits. Most mention upset stomach as a likely cause, but do not cite scientific research to back it up. A 2008 study by the University of California, Davis had dog owners answer survey questions about grass-eating behavior. 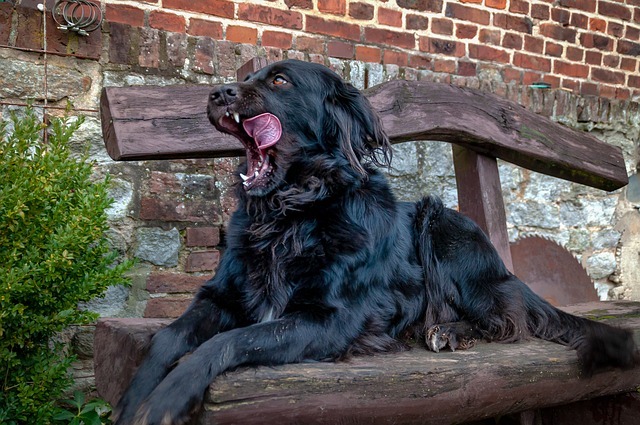 It turns out only a small percentage of dogs vomit after eating grass. The ultimate conclusion was that grass-eating is a common behavior in normal dogs and generally has nothing to do with illness. In fact, there is evidence to suggest the behavior was passed down from wolves as a way to purge intestinal parasites. 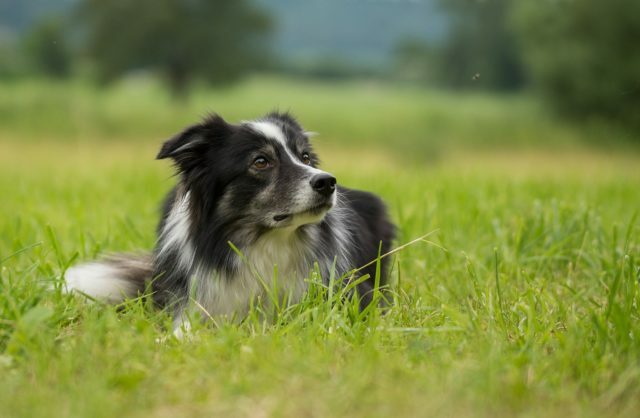 Eating grass does not necessarily mean your dog has worms. Like kicking after they poop, it may just be an inherited instinct from their wild ancestors. Or, as some vets suggest, maybe they just like the taste! 2. One dog year equals seven human years. This dog health myth has a grain of truth to it. Some dogs do age about seven years for every human year, but this is a generalization that does not work for every pup. 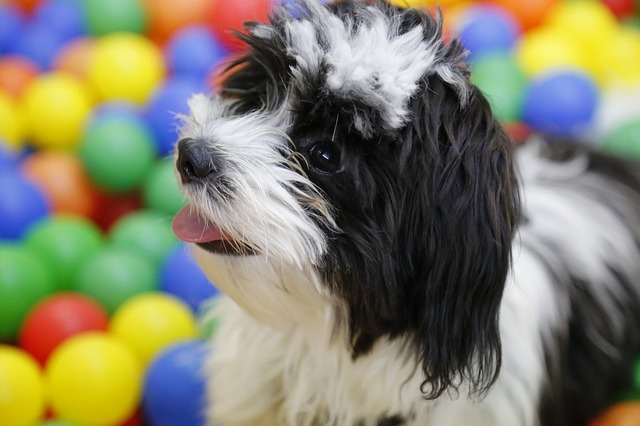 Figuring out a dog’s “true” age depends largely on their breed and size. 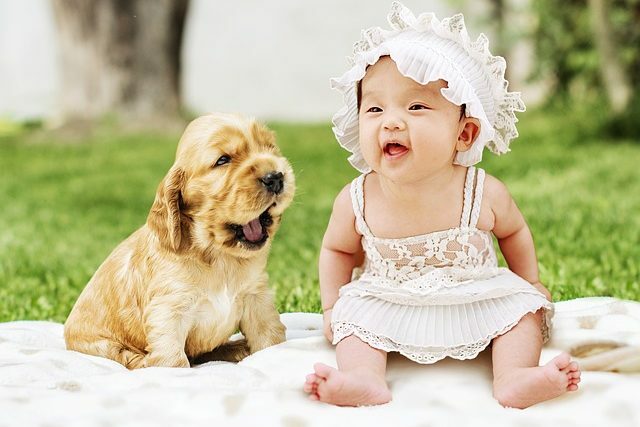 Depending on size, dogs tend to age about 9 to 12 years during their first year of life. After that, breed and genetic health factors begin to play more of a role. Most small dogs tend to become seniors around the age of 12 and can live to be 15 – 18. Large and giant breed dogs are not so lucky. They may only live to be 7 – 10 years old. 3. Female dogs should go through a heat cycle before being spayed. Some people believe that female dogs are healthier and/or happier if allowed to go through a heat cycle before being spayed. Not only is this dog health myth untrue, it is potentially dangerous. Extensive data shows that spaying a dog before she goes through heat significantly reduces her risk of mammary cancer later in life. Spaying after the first heat cycle, but before the second also reduces the risk, but not by as much. In addition, surgery is both more difficult and more risky on a pet that has recently been in heat due to the increase of blood flow to the reproductive organs. Finally, a dog in heat can attract males up to 2 miles away. The longer she remains intact, the greater the chance she will become pregnant. According to the ASPCA, approximately 3.3 million dogs enter US shelters each year. Of those, at least 670,000 are euthanized. Although the numbers are improving, pet overpopulation is still a huge problem. 4. A cold wet nose means a dog is healthy. The dog health myth that you can tell how a dog is feeling from the temperature and moisture level of his nose is simply not reliable. Lots of factors affect the condition of your pup’s nose throughout the day and throughout his life. A healthy dog that has been snuggling on a cozy bed can have a warm, dry nose just as a dog with heart disease may have a cold, wet nose. 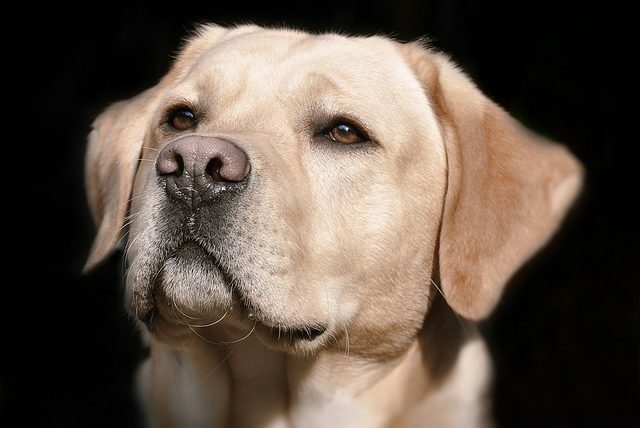 Dogs’ noses often feel abnormally warm to us because their body temperature runs higher than our own. A healthy dog can have a normal temperature from 99.5° to 102.5°. 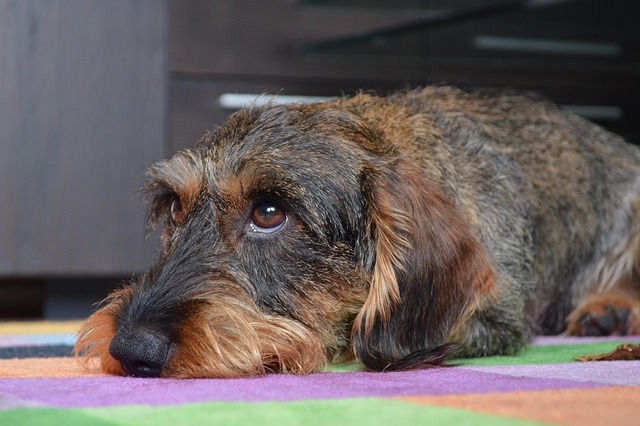 If you suspect your dog is ill, watch for changes in behavior, activity and appetite. These are much better indicators of how a dog is feeling. 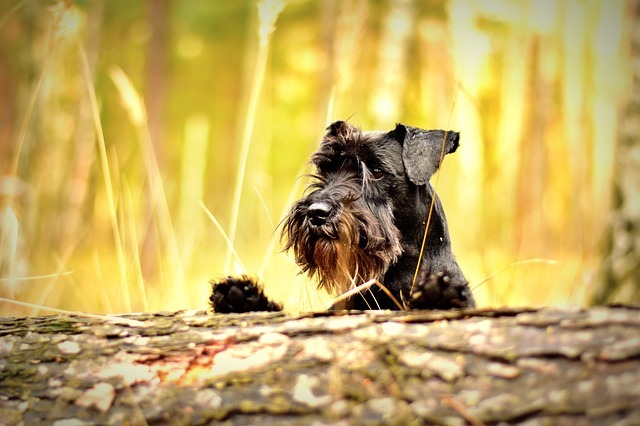 If the skin on your dog’s nose is crusty, flaky or cracking, try a high-quality, all-natural snout balm to restore moisture and relieve discomfort and itching! 5. A dog’s mouth is cleaner than a human’s. Some people believe that dogs have extremely clean – if not antiseptic – mouths. This dog health myth probably stems from the fact that pups instinctively lick their wounds. Licking may debride away damaged tissue, but over-licking can cause infections and open up surgical incisions. Let’s not forget that 80 to 90% of dogs over three years of age have some form of periodontal disease, and many of them eat poop! 6. Dogs should be vaccinated every year. After this initial round of immunity, many vets choose to give periodic boosters anywhere from 6 months to several years apart. If over-vaccination is a concern, ask your vet to assess your dog’s individual vaccine history, age, lifestyle and risk factors to help you determine the right protocol. This may include running blood titers to see how much immunity your pup has for a particular disease. Senior dogs and those with medical conditions may be more susceptible to adverse vaccine reactions. Therefore it is important to reassess the issue periodically rather than following a one-size-fits-all vaccine schedule. 7. My indoor dog does not need flea and tick prevention. Unless your pup knows how to use a litterbox, he is not an “indoor” dog. A simple stroll through the backyard for potty purposes is enough exposure for your pooch to pick up a few parasitic hitchhikers. A single female flea can then produce up to 600 offspring in a single month. Yuck. Even if you truly keep your dog indoors 100% of the time, fleas and ticks can make their way into your home on other pets or family members. While fleas are mostly just a nuisance, ticks can carry a number of serious diseases. Ehrlichia, Lyme Disease, and Rocky Mountain Spotted Fever are common tick-borne illnesses. Their symptoms range from fever and swollen joints to neurological problems, kidney failure, and even death. In rare cases, dogs may also experience a frightening condition known as tick paralysis. Ask your veterinarian to recommend the safest, most effective parasite-control product(s) for your pup. 8. 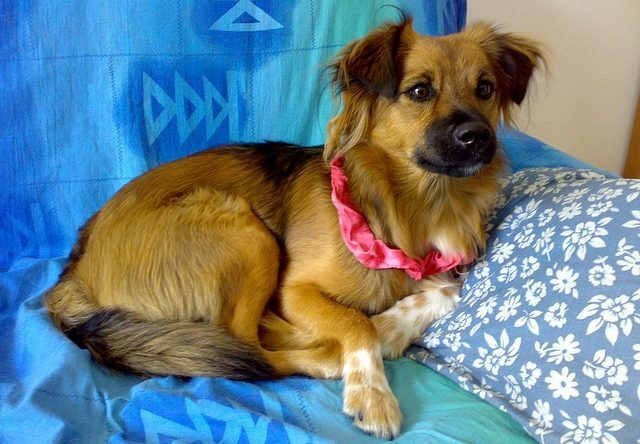 My dog is not at risk for heartworm disease. This dog health myth may be the most dangerous on the list. 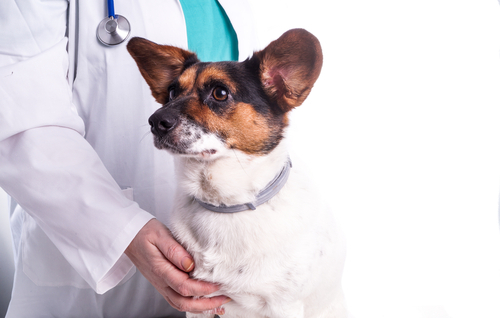 Although more common in certain areas, heartworm disease is present in every US state. All it takes is one bite from an infected mosquito to transmit this deadly disease. Without painful, expensive treatment, dogs can experience heart damage or even death. 9. You can save money by skipping annual exams. The information your vet gathers during an annual physical exam could help prevent illness or lead to an early diagnosis. During a routine annual visit, your vet will examine your dog from head-to-toe, listen to his heart and lungs, and ask you vital health-related questions. In addition, this is the perfect time to discuss vaccination protocols, parasite prevention, and diagnostic testing. Subtle changes in your dog’s condition could help your vet catch early warning signs of disease, saving you money and heartache. Owners of senior dogs and those with medical conditions should consider seeing the vet at least bi-annually. Dogs actually possess two of the three photreceptors necessary to see the full color spectrum. Instead of seeing the entire range like humans, dogs perceive yellows, blues, and violets, but cannot distinguish between reds, greens, and oranges. These colors appear somewhere on their yellow to blue spectrum, but they are definitely not colorblind! This is one dog health myth that has been thoroughly debunked.